Colostrum is the first form of milk produced by the mammary glands of mammals prior to giving birth, and for the first few days thereafter, until it actually turns to milk. Nutrient-rich colostrum provides the essential passive transfer of immunity from mother to newborn mammal. 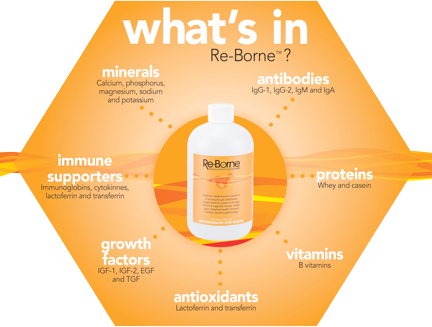 It is also naturally packed with immune modulators and growth factors to promote muscle and tissue growth. Bovine colostrum is the colostrum from dairy cows, collected from USDA Grade A dairies. These cows have full and free access to grass pastures and are rBST free. The colostrum we collect is GMO free and is commonly considered a waste product because cows produce so much. After a newborn calf has received its full share, about 2-3 quarts depending on size, and most colostrum is discarded. Bovine colostrum is the most easily transferred among different mammals, and its benefits are not species-specific. The colostrum we collect comes from small dairies where the average herd is 60 cows. These cows are practically members of families and are treated as such. Bovine Colostrum can be your best defense – and an effective, all-natural tool! How does Colostrum benefit you? Using whole liquid colostrum that has not been heat processed or harmfully spray dried has significant advantages for nutritional supplementation in all animals. Bovine colostrum contains the full complement of immune supporters, antibodies, growth factors, antioxidants, vitamins, proteins and minerals that support healthy bodies. 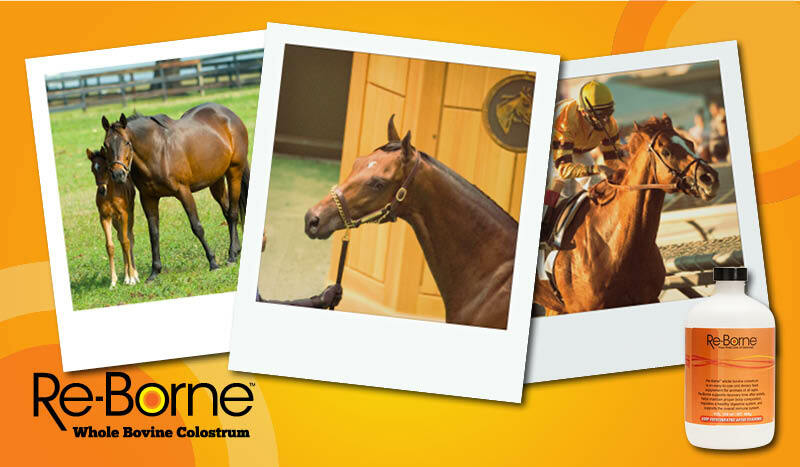 In the enhancement of performance animals or pets, colostrum provides an all-natural, multi-purpose nutritional aid that boosts overall health and well-being and will not test in the show arena or the racetrack because it is an all-natural benefit for the animal.